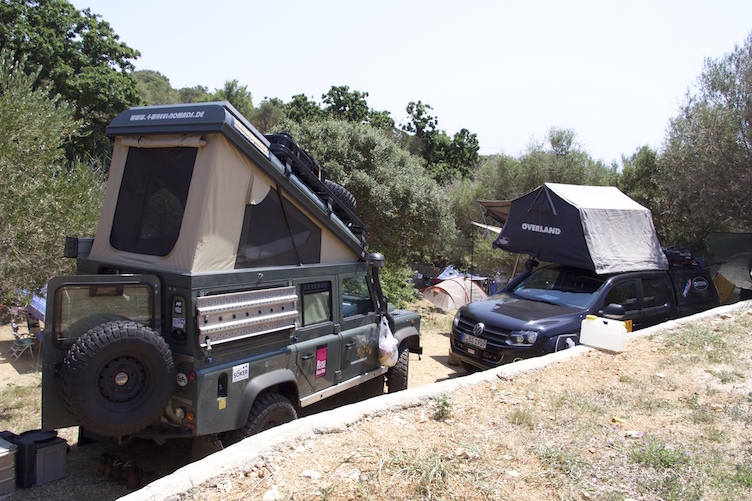 Here we add our most favourite, personally tested campsites and other accomodation only! Borsh (N 40°05.646', E 019°84.960'; wild camping): The beach just below the village of Borsh is really relaxed and a good spot for wild camping (fires are allowed and there is plenty of driftwood). There are several beach bars but still there is plenty of room to camp, especially on the northern part of the beach (near the police station). People are very friendly and relaxed. You gan get fresh water either from the well at the graveyard near the mainroad-crossroads down to the beach or at one of the bars if you stay there for a drink or two. This beach is really clean for Albanian circumstances! 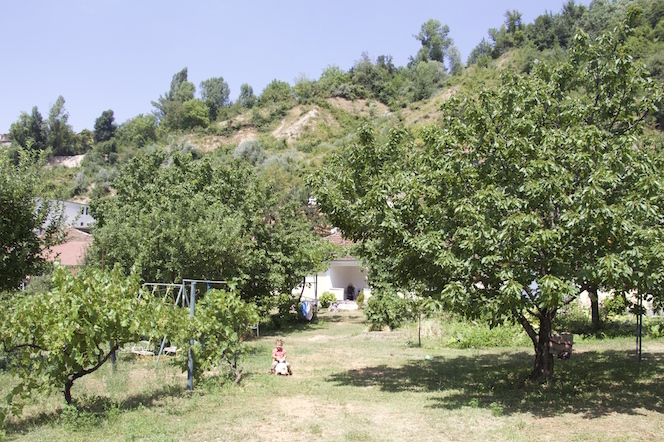 Gjirokastër: The Babameto House is a the most beautiful and impressive hostel we have ever experienced so far. The rooms are extremely spacious and you feel like sleeping in a hunting chateau. 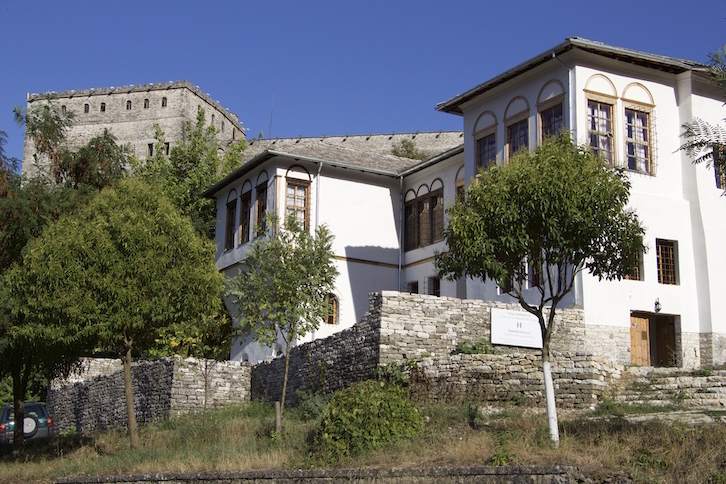 The old fortified building which is typical of the town of Gjirokastër is used completely as a hostel. 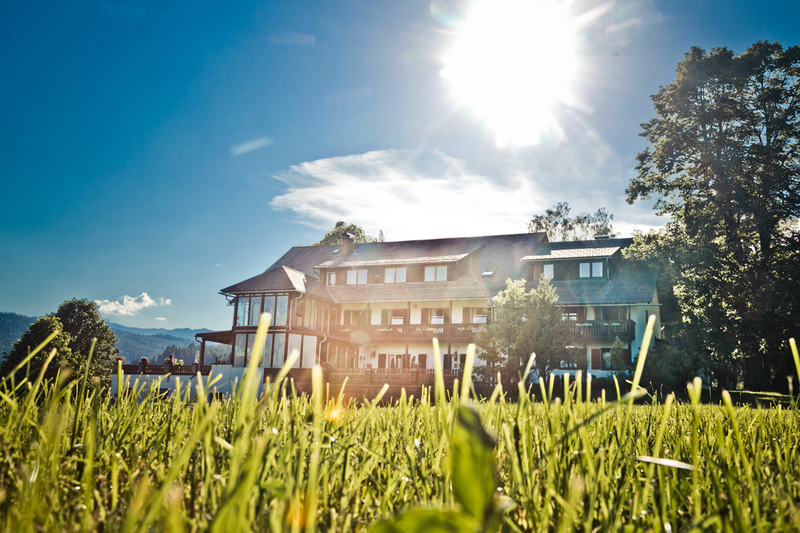 Adults can stay here for the very reasonable price of 12€ for b&b (children are half price!) and thereby help keeping this building in the shape it is in. Peshkopi (N 41°41,145' E 020°26.325'): The small "Camping Kapxhiu" (Rruga Llixha, Peshkopi; Facebook: Camping Peshkopi Albania; mail: matiz@hotmail.it; phone: +355-218-22854) is situated in the wine and fruit orchard of the family Kapxhiu and is just a 10 minutes walk away from the city centre of Peshkopi. You can also order home-cooked meals and breakfast which is fresh and very good. 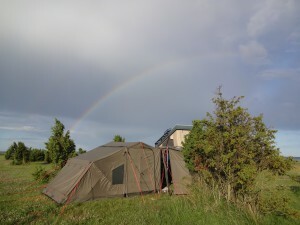 This campsite is very clean and family Kapxhiu will help travelers with anything they need. It is not, however, suitable for big camper vans. Free WiFi on the veranda! 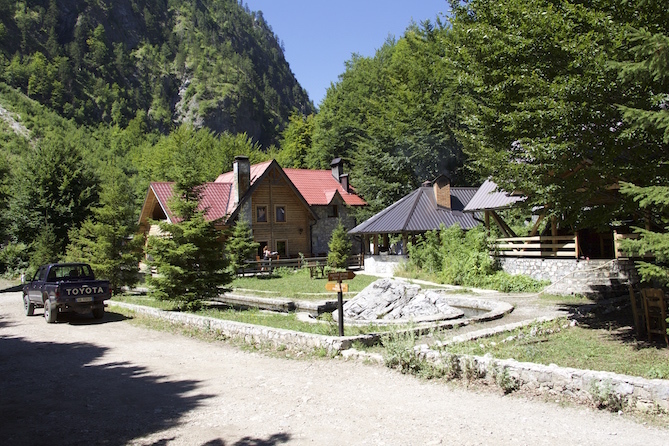 Valbone Valley: "Rilindja" is a small restaurant and guesthouse with a very small a campsite that feels like wild camping. Rilindja provides excellent local food, small but cosy rooms and is more or less the unofficial tourist information in the Valbone valley. This family run business is a very special place we recommend for all travelers in all seasons. You can go hiking and climbing from here or just relax indulging in the excellent cuisine. The prices here are so reasonable that you don't want to cook yourself! Brijesta Peljesac: Auto Camp Vrela/Zakono (Brijesta 10, 20246 Peljesac, Croatia) is a wonderfully relaxed campsite directly at the beach of the peninsula Peljesac away from the places where most tourists go. The campsite is very clean and tidy and it is suited for the sun-seeking tourist and people who search for peace of mind in the nature. There is a small shop in the village a 5 minutes walk away but with only limited products. The landlord offers meals (mostly fish and mussels), homemade wine and spirits in a small bar directly at the beach side. Pag: Autocamp Drazica (N 46° 40.888' , E 015° 13.785') on the island of Pag (Primorska b.b. 53291 Novella, took Pag, Hrvatska) is a very clean and relaxed campsite directly at the beach, away from the touristy hotspots of this peninsula. 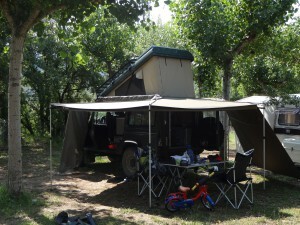 The campsite is situated on a terrassed olive plantation. As there is not much infrastructure around, the shopping should be done before "settling down" there. In the shallow waters at the (stony) beach there sometimes are sea urchins, so it's a good idea to wear swimming shoes. They have free wifi! Møn: Camping Vestmøn (55° 53' 52 '' N, 12° 9' 19'' E) near Hårbølle on the island of Møn is situated in beautiful nature, directly next to a wonderful beach. 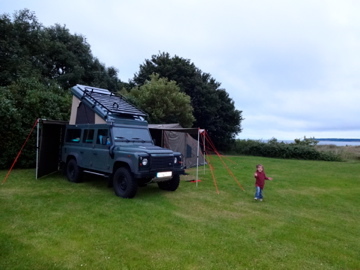 Being really quiet and relaxed, it is a wonderful campsite for families and (nature-) lovers. Overlanders meet on the most remote meadow of the campsite which we call "fox-meadow" as a lot of nosy foxes roam around there at night. 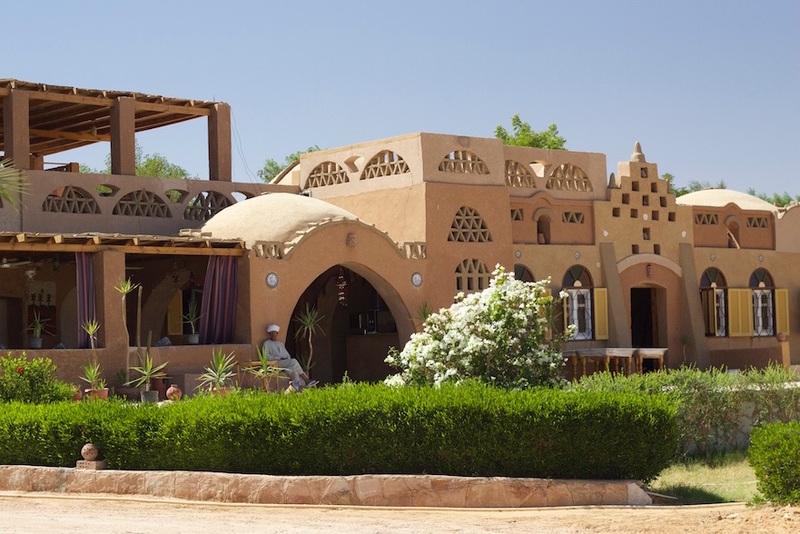 Abu Simbel: "Eskaleh Nubian Ecolodge" (N 22° 20'47'', E 031°37'7'') is a Nubian style ecohotel situated directly at the shore of Lake Nasser. "Eskaleh" is locally owned and very professionally run, the rooms are very clean and the complete house is beautifully decorated. Some of their food is based on homegrown products from their own farm. They have free WiFi and the rooms are from 70 € (2 adults incl. breakfast, children under 6 are free of charge!). It is a wonderful and relaxing place beautifully decorated and the owners and all staff are extremely welcoming and willing to help. 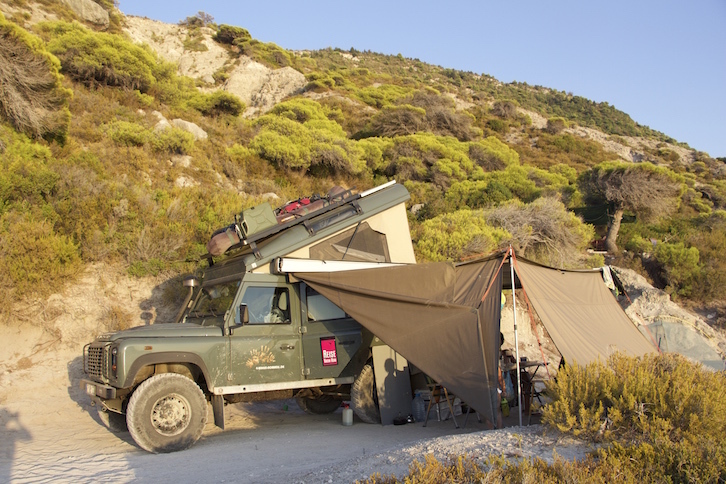 For overlanders who would like to sleep in their cars, it is also possible here (at what rate we do not know, but this rate will surely not be over the top!). 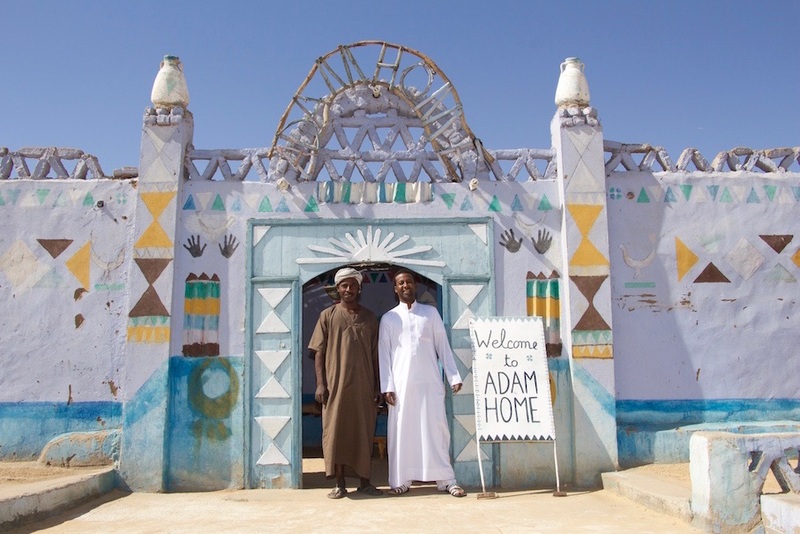 Aswan: "Adam Home" (N 24°10.135' E032°51.971'), about 2,5 km south of the Nile bridge is a typical Nubian house directly at the bank of the Nile looking on Aswan on the other river bank. You can set up your tent in the walled courtyard or sleep in your car directly in front of the house. We paid 60 EGP per night for our car and 2 adults (the children were free of charge). The former tenant, Yahya, has mismanaged this place and soon after having taken over the place again, the owner got really ill. Thus, Adam Home is a bit run down. Still, the showers are hot and the toilets are relatively clean. Guests can use the kitchen (gas stove) for free, but you can also order breakfast, lunch or dinner if you don't want to cook. Essen in Nubian private homes (very good and tasty!) and cruises on the Nile (motor boat and Felukkah) can be organized by the owners. If you need a "taxi" in Aswan, call Mohammed Sayed (tel. : 0122 4421767 and 0114 2748889), a cousin of the owner, he will not be more expensive than a taxi, but more reliable, speaks good English and is well informed about what overlanders might need. Luxor: "Rezeiky Camp" (N25° 42.683' E32° 38.919') "Rizeiky Motel & Camp" (Adress: Sh Fayek Fouad el Rezeiky (next to the first petrol station on the northern road into Luxor); phone: 2381 334, mail: info@rezeikycamp.com.eg, web: www.rezeikycamp.com.eg) is situated in Luxor, just a quick walk away from the temple. It is possible to sleep in the car in the walled courtyard, set up a tent or take a room (some with ensuite toilet and shower). If you want to use private toilets and shower, you have to pay a small fee for a room (we paid 160 EGP for two adults and the car - the children were free of charge). 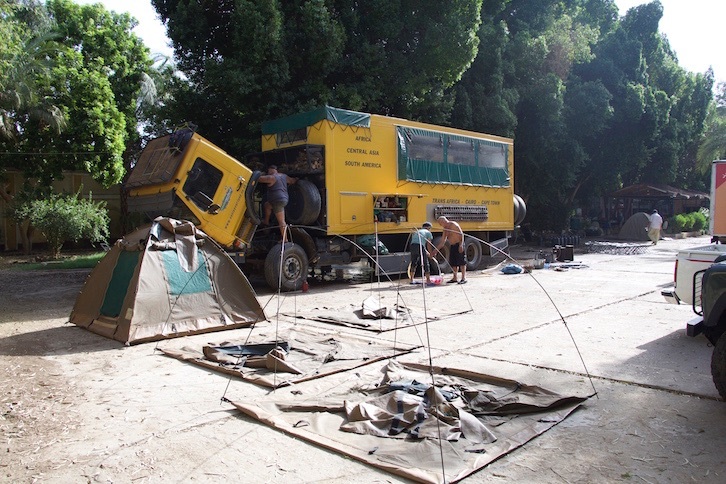 This camp is frequently used by overland trucks and sometimes quite loud due to e.g. Karaoke parties for locals. The owner and staff speak English well. The WiFi is not for free, the pool not heated and seems to be not really clean. The food was unexpectedly good! Königstein/Sachsen: "Ferdinand’s Homestay" is a very small campsite, hostel and pub right in the middle of the “Sächsische Schweiz“ (Halbestadt 51, 01824 Königstein), situated right next to the Elbe river. It is not suited for any kind of car larger than a VW-Bus or Land Rover as the roads simply do not allow to drive there and the campsite is really, really small ... that means there are no big camper-vans there, only people with tents and smaller cars. It’s a charming and relaxed place and the people there are very nice! Königstein/Sachsen: "Panoramahotel Lilienstein" (Ebenheit 7, 01824 Königstein/Sachsen; phone: 0049(0)35022/53100; mail info@hotel-lilienstein.de) provides sites for overlanders or other travelers which provide a great view on "Festung Königstein" (incl. free wifi). Kalivia Varikou (N 40°11,173' E 022°33.650'): "Camping Stolos" (+30 2352 061266) is situated directly next to the sandy beach (a 4 minutes walk) and is a wonderful campsite for families. 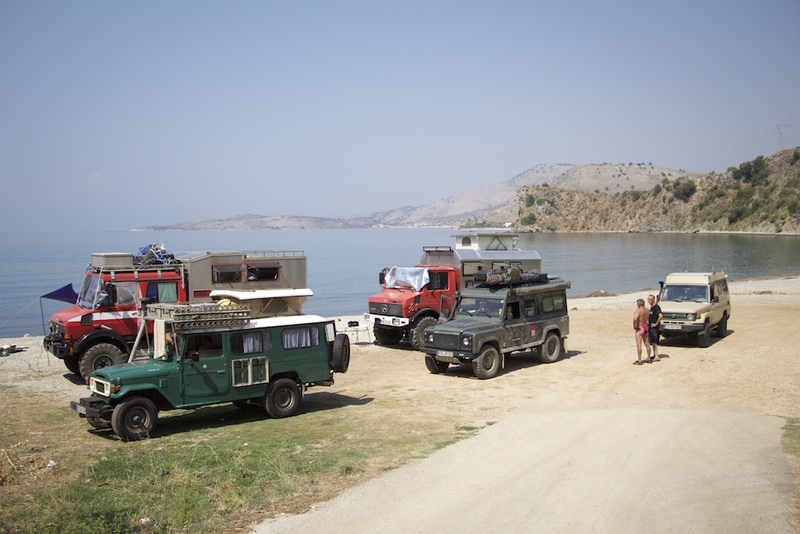 As it is also only 2km away from the highway leading to Athens, this campsite is great for a stopover for overlanders on the way to or from the harbour at Piraeus. The campsite has a wonderfully relaxed atmosphere and the owners are very welcoming and offer any kind of advice. The bar/restaurant/beach bar offers small meals and you can also rent bungalows. 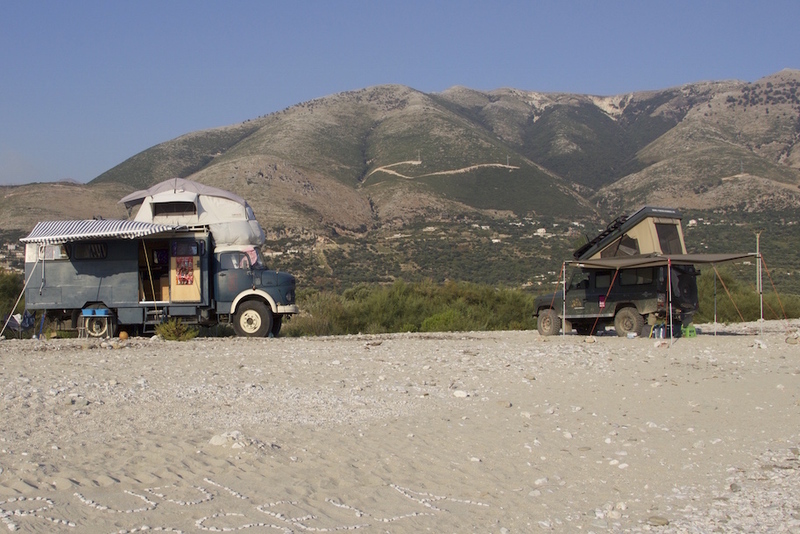 There are many permanent campers who are welcoming and embracing travelers with their Greek hospitality. Free WiFi, minimarket and laundry machines. Lefkadha (Athani; N 38°67.317', E 020°55.706'; wild camping): This beach is a really nice place for free camping. In the centre of the beach there are two good bars/restaurants (you can even camp on their parking lots if you ask) but to the northern and southern end of the beach you are pretty much alone at night. There is no fresh water supply down at the beach, but there is a well/reservoir with fresh mountain water in Athani. Paradise Beach found - near Athini on the island of Lefkadha. Mavrovounio (south of Gythio, Peloponnes): "Mani Beach Camping" (phone +30 27330 23450/1; mail: info@mainbeach.gr) is the most familiaristic campsite we have experienced so far. The campsite is quite large, but very relaxed and the staff and owners are extremely hospitable and know everybody by name after only a short while. The bar and restaurant are really good (Greek food, cocktails, beer, coffee ... ). After the peak season is over, you feel like you're part of the family. The campsite situated directly next to the sandy beach, which is a great spot for windsurfing and kitesurfing. Families are always welcome. Free WiFi, mini market, kids playground and laundry machines. 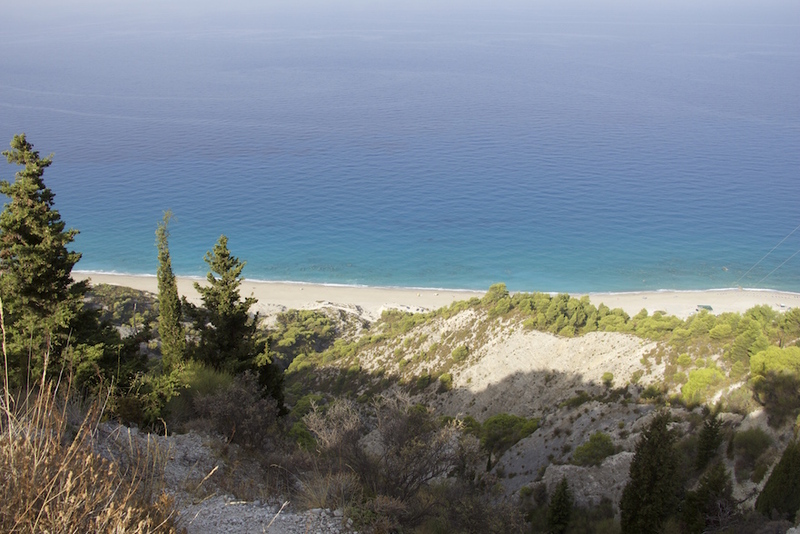 Sagiada (wild camping): After entering Greece from Albania at the Konispol/Sagiada border post, this beach is the second one that is accessible directly from the main road (you can also wild camp on the first one but there are some houses there as well). It is nice even though it is situated next to a main road and is a spot where other overlanders relax for their last days before boarding the ferry to Italy. Tsapi (between Finikounda and Koroni, Peloponnes): "Camping Tsapi" (phone +30 27330 23450/1; mail: info@mainbeach.gr) is a very small campsite at a very small bay between Finikounda and Koroni. Drive down from the main road at the Tsapi reading and after about 8 km, there is the little settlement, campsite, two beach restaurants ... and nothing else. The beach is quite sandy and trees on the campsite provide enough shadow to be able to relax here even in mid-summer. The food at both restaurants is really good. Kiskunmajsa: Camping "Ons Dorpke", located just a few 100 m out of Kiskunmajsa, is the most familistic campsite we have experienced anywhere so far. The Dutch owners, Johan and Kathy Verbroekken do almost anything to make you feel at home and they simply love kids. They have wifi, clean toilets and hot showers and you'll certainly meet a lot of nice other people there. 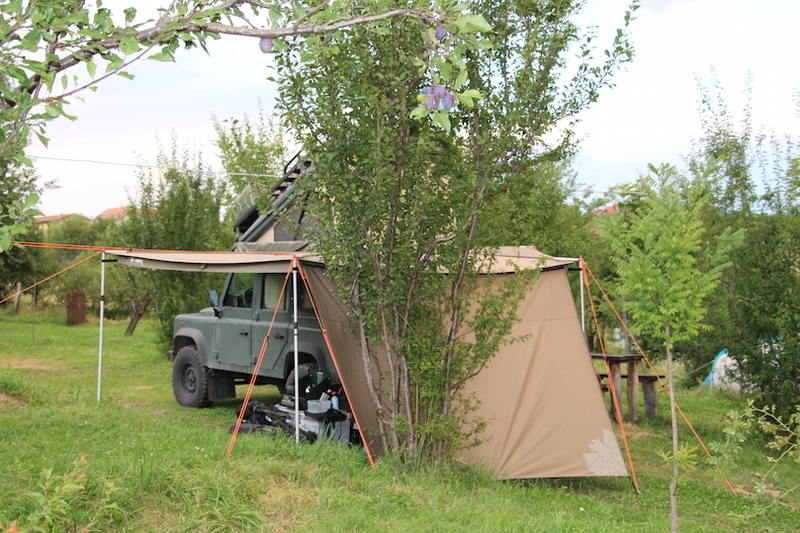 This campsite is place to relax and stay a bit longer (there also is a spa just 800 m away, even though the campsite is surrounded by rather rural landscape). 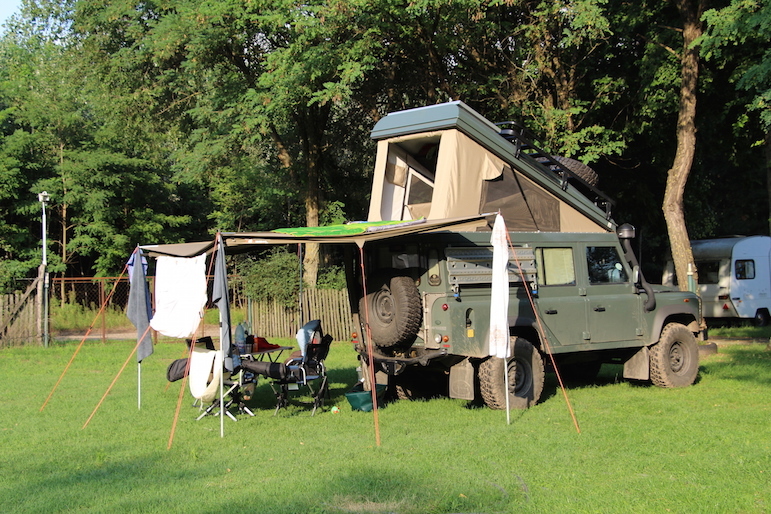 Twente: "Camping Meuleman Twente" is just across the German-Dutch border near Enschede. It is situated in woodland and part of the campsite is a nature reserve. Here, you are not as restricted to parcells as you are in many other campsites and it is a bit like wild camping. They don’t have a large supermarket, so buy your stuff before. They also offer free GPS-Greenlaning tours to their guests who own a 4x4. Every year, it’s the place where Karin-Marijke Vis’ and Coen Wubbels’ “Overland Reunion“ takes place. Go there and meet all the nice and welcoming people from the Netherlands (most of them), Belgium, England, Northern Ireland, France, ... The “Overland Reunion“ is a wonderful get-together! Swimming in the lake at "Camping Meuleman Twente"
Gjeilo: "Gjeilo Camping" (61° 52’ 29’’ N, 8° 23’ 58’’ E) stretches out along the Otta River and is a quiet, idyllic and very clean campsite. You are free to chose a place between the trees, on the grass or directly at the riverside. Beautiful! Trollstigen: "Skoglund Camping" (62° 17’ 7’’N, 8° 23’ 58’’ E) is a quiet little campsite a 20 minutes’ drive away from Trollstigen. Very clean! Niedzica: "Camping Polana Sosny" is a nice, clean and relaxed campsite in the small village of Niedzica in the mountains just about 8 km away from the Polish-Czech border. 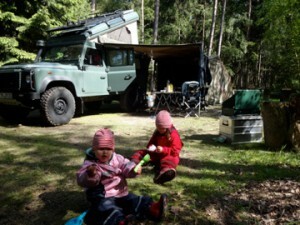 We paid about 16 Euros for two cars, four adults and four children – really cheap compared to German prices! Showers cost 5 Zloty, but the internet is free here! Cisnădioara/Micheldorf: Camping Ananas in Cisnădioara/Micheldorf near Sibiu/Hermannstadt is a wonderfully clean and organized German-owned and run campsite situated in an old orchard. They have free wifi, really clean toilets, shower and all other facilities (such as washing machines and fireplaces) one needs for staying a bit longer after spending some nights out in the Transsylvanian wilderness. The footpath into the village is just a few 100 m and there is public transport into the historic city of Sibiu/Hermannstadt. Isabena (Graus): "Camping Isabena" (42° 18.501' N, 000° 32.763 E) is located near the city of Graus in the Province Huesca in the Spanish Pyrenees. Managed by the Spanish-German family Badia, Camping Isabena is a very clean campsite with a good outdoor swimming pool and restaurant, and a really charming atmosphere. 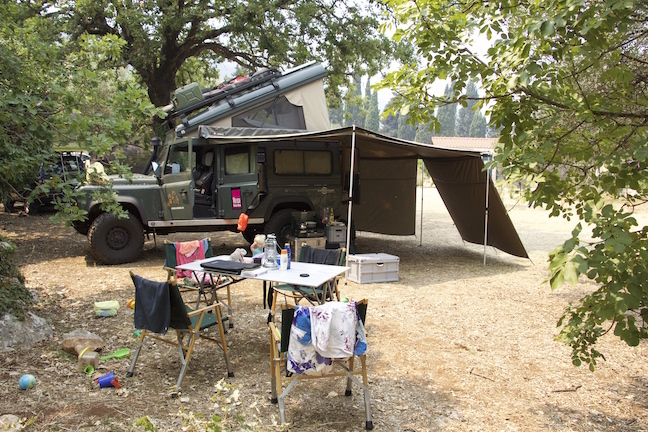 The campsite is great for families and the location in the Isabena valley provides a lot of great opportunities for active people such as horseback riding, walking or testing your 4x4 on the various gravel roads, tracks and old roads across the mountains. Mora: "Johannisholms Camping" (60° 49' 49 '' N, 14° 8' 25'' E) on the road to Mora is next to a country road, but still is beautifully situated on a large natural plot of land next to a lake. 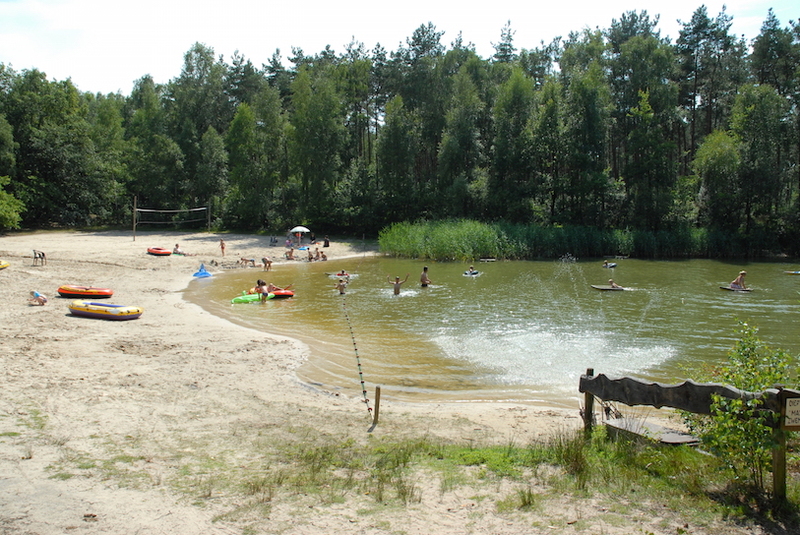 The sanitary facilities are very clean and campfires are allowed – a great campsite especially for children! Öland: "Wikegårds Semesterby" (57° 9' 4 '' N, 17° 0' 43 '' E) is a small campsite on the island of Öland with a really relaxed atmosphere. We camped directly on the beach.